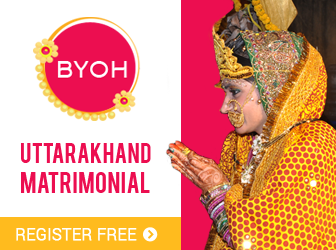 The blog.byoh.in website (further referred as website) is made for blogging and our aim is to make your Big Day special by giving you some unique ideas and tips. However, if you are following anything that has been mentioned on the website then you’ll be in charge of it. The website will not be liable for anything. To access certain features of the website or for guest blogging, you may require to provide us your personal details which are a part of the registration or log-in process. Your personal contact details will not be visible to the outsiders and will not be misused by us for any personal or non-personal use. If you submit or publish your content on our website, you grant us the complete authority over it. We may edit, modify and use it in any form. We use new and fresh content which hasn’t been used elsewhere. In case if any plagiarism will be detected we have the authority to take down your article and report it to the concerned authorities. The writer will bear the consequences related to the copyright issue and the website will not be held liable. Guest Writers are individually responsible for the content they submit on the website.